Before arriving in Colombia I took a short TEFL (teaching English as a foreign language) course, which at least provided me with the basic teaching skills required. My first job teaching English here was for an institute. After arriving and settling down, I visited various English language schools, dropped off my CV, was invited to various interviews by some, and even did some tests to prove I knew the language well enough to teach it. The tests taught me the first thing you need to know if you are considering teaching English as a foreign language - just because you are a native speaker, doesn't mean you know the language well enough to teach it. The tests some of the language schools gave me proved that there were rules and parts of speech in my language that I didn't know existed. I spoke the language very well, but instinctively, without knowing the basic grammar rules or structure. I remember in one interview in those early days I was asked to prepare a short ten minute class about the difference in pronunciation of the ed ending of the past tense. I then had to give the class to the academic coordinator. I was given the book the institute used and told which pages to look at for material. That the ed ending of the past tense had three different sounds was completely new to me, even though I used the correct sounds every time instinctually. After being offered jobs in three or four institutes I chose the one offering the best salary. I worked there for about ten months and enjoyed it a lot. The first week or so I felt a little nervous, but I soon became more confident, and discovered many things about my language that were new to me. After about ten months of working at the institute, someone asked if could give them private classes. I agreed and we started with two hours on a Saturday morning at the student's home. One day she asked me if I could teach her at the office where she worked, and it wasn't long before other people in the office started asking about classes and soon I was teaching there every morning and lunchtime. From there on the private classes blossomed and I stopped teaching at the institute. All my students come from recommendations by students past or present. I have only ever advertised once, and that ad resulted in only three phone calls, and one student. That was more than ten years ago, and the student who started still has classes with me. So I guess I must be doing something right. The biggest shock during this early period of my teaching career was that here work usually starts at 07:30, and the most coveted time for classes is the hour before starting work, and usually at the person's office. I have classes every day except Sunday at either 06:30 or 07:00, and only the Saturday class is at my flat. So you need to be able to function early in the mornings. I usually get up between 04:15 and 05:00 each morning, and now my body clock is accustomed to it, in fact I usually wake up prior to the alarm clock going off, but in the beginning it was a struggle. The first time someone asked me if I could give them class at 06:30 I thought they were joking. They weren't. During my first year of teaching privately I learnt that not everyone who enquires about classes will start. Some people will ask for a discount so be prepared to either negotiate or stand firm and no matter how good a teacher you are, people are going to stop their classes at some stage, so learn to accept it gracefully rather than fretting over it. In the beginning when people stopped their classes I took it personally, and spent hours wondering what I had done wrong, now I accept it and move on. I remember one such instance; I was teaching two girls at my flat at 06:30am, and they had said they were very happy with the classes. Then one day one of them said she was starting a new job and that the offices were on the outskirts of the city. I commented that it was going to be difficult to continue with the classes; however, they said they had talked about that, and asked me if it was possible to start the classes half an hour earlier. I agreed and the following week I was ready and waiting for them at 06:00am, but they didn't come or phone to say they had a problem. I phoned one of the girls at her office three or four times during the week, but she was never there, and even though I left messages for her to call me back she didn't. At the end of the week I finally got through to her. She told me that her friend who had started the new job was doing an induction course for two weeks, and had to start early, but that they were definitely going to continue with the classes in two weeks time. We agreed the date for restarting the classes, and two weeks later the same thing happened again, I was ready, but they didn't come or contact me. This time I managed to get through to one of them and she told me that the other girl's grandmother was ill in hospital and she had to visit her ailing grandmother in the morning before going to work. Again we set a new date for starting the class. The day before they were due to start again I got a phone call from a maid who worked at the house of one of the students, and she told me they wouldn't be able to come to class the following day. I never saw or heard from them again. Situations like that used to drive me insane, now they don't, and actually now they happen far less frequently. Maybe I've learnt whatever lesson it was I had to learn. Another important point to consider is that students are at different stages of learning the language so it is necessary to have teaching material to cater for these different needs. Some people like to read; others want conversation or feel they need to concentrate on learning the grammar or a mixture of all three. Occasionally there are students who want to improve their writing skills, but this is not so common. The more I taught, the more I started to develop my own style and the more my personality came into play. Once I got accustomed to getting up at the crack of dawn, I decided that classes at that time in the morning needed to be interesting and entertaining otherwise people would fall asleep, and so I have relied heavily on my ability to talk about a wide variety of topics, and to do so in a relaxed and entertaining way. Don't do this unless you are a sadist! Some years ago I decided that maybe if I worked in a school it would give me some stability, and at least a basic fixed income. One of the problems with teaching privately is that there are certain periods during the year when one has very few or no classes, December and January being prime examples of difficult months. I applied to various schools, was offered positions in two, and chose the one which I felt suited my easygoing personality. I worked at that school for six months, and those six months were probably the worst six months of my entire life. My level of happiness used to increase sharply on a Friday afternoon and drop like a stone on Sunday evening to a level that can best be described as depressed. I love teaching, but teaching private students who want to learn and school kids whose main objective seems to be to learn as little as possible are two different ball games, it's like comparing boxing on the one hand with tennis on the other. I am more of a tennis man, and so after six months I left school and made a vow to never return. While teaching at the school I had continued with some private classes in the evenings and on Saturdays, and that was enough to make ends meet until I gradually got back up to a full schedule. After leaving the school I got quite a few classes from students who were studying there and were failing English so in the end it was a good marketing strategy. I have one or two from the school now. Some of the kids I taught are now in university and occasionally have classes with me. Now that they have grown up and become more responsible it is a pleasure to teach them. Kids on their own are never as disruptive as when they are in a group, but in both cases it can be difficult to motivate them. Now after all these years teaching it feels very different, I teach mostly executives - lawyers, CEO's, designers, people from the financial sector, plus the occasional university student or school kid, and now I have learnt so much about my own language that I feel comfortable teaching it. It's been an interesting journey, and I have made many friends along the way, a few of my students have been with me for over ten years, and many for three or more. 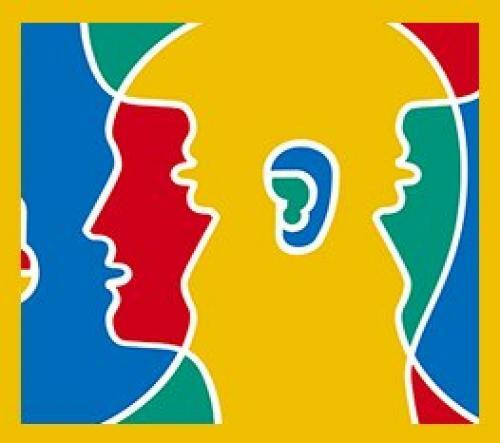 All are at different stages of learning the language; many speak it well and have classes so as to avoid losing their fluency, which can happen before you know it if you don't practice. If you are planning on living in a foreign country for any length of time and plan to teach English or your native language if it isn't English, consider these points. It's easier to start teaching at an institute at first as it allows you to gain teaching experience and meet people. Finding students to take private classes needs time as the best way is by word of mouth. If you have experience of teaching in schools then this could be an option otherwise I suggest you avoid it like the plague. Learn about the culture of your chosen destination, and accept that what may be normal for you may not be normal for them and vice versa. Learn the rules and nuances of your language. Being able to speak it fluently doesn't mean you can teach it. Try and do a short teaching course before leaving home so you have at least some idea of what you are doing. Integrate with local people, if you want to start teaching privately networking is very important. Enjoy what you do and do it well. My name is Mark Fletcher. I am originally from Cardiff, South Wales, but I have lived in Colombia for almost 17 years during which time I have taught English privately to teenagers, university students, executives and CEO's of large companies. During this time I have obviously gained a lot of experience regarding teaching in general, what to expect as a private English teacher, and what works and what doesn't. I have my own website http://www.welshviews.com which has resources that can be used in classes. The blog page has many articles that can be used for reading comprehension and vocabulary building. There is a puzzles page with interactive word searches, crossword puzzles and anagrams that can be printed and solved. There are even vegetarian recipes in English. If you have a big enough kitchen you could ask your students to buy the ingredients, bring them to class and try following the instructions to make a recipe together. Teaching and learning English or any foreign language needs to be fun. My website provides resources that can be used in classes in an entertaining way. These twelve tips will help you get through any test and as long as you prepared adequately for it, you will certainly get an A.